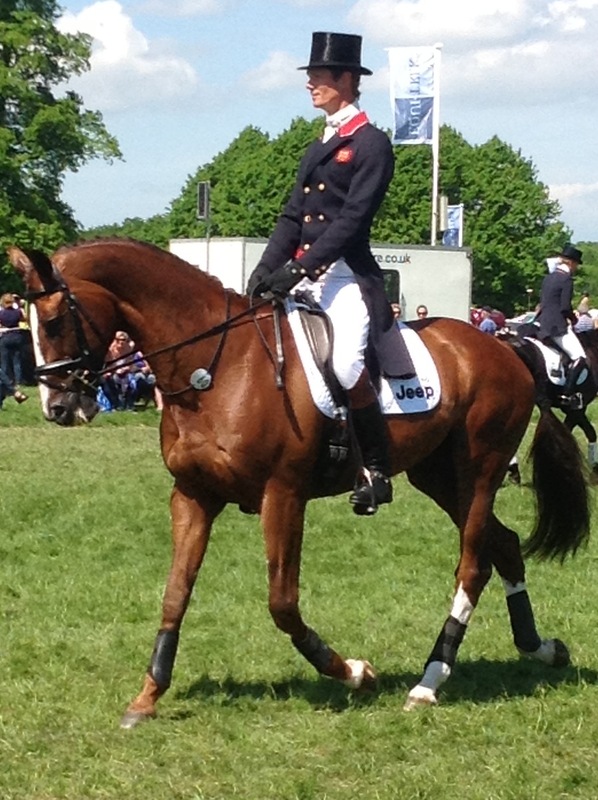 The dressage at Bramham went well today with Chilli Morning having moved in to 2nd place with a score of 43.6. I have to say I was a little disappointed with his mark and the discrepancy between the judges, but there was the odd moment when he got a little tense and that would have lost some points. However, the important thing is that he goes well tomorrow. The course is big and bold and I hope to have a good ride. It is very similar to last year although the first water is much more difficult and the coffin looks as ugly as ever. Ian has done a great job trying to improve some of the steep slopes to give the horses a more comfortable route around the park. There is still a good pull up to the finish though so the horses will need to be full of running and although the ground is quick the forecast is for it to be hot tomorrow which will make it a real test. I was delighted with Before Time who was doing his first CIC***. He did a very respectable test to score 50.0. It is a big step up for him and he coped with the atmosphere really well so I couldn’t have been happier with him. 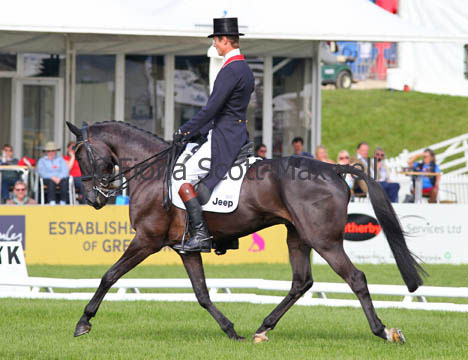 He will do his show jumping tomorrow morning and his cross country tomorrow afternoon after the CCI*** has finished. Click here for the up to date results. William & Chilli Morning warming up for their test earlier today. Before Time during his CIC3* test. Thanks to Fiona Scott-Maxwell.